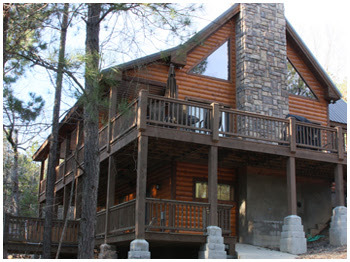 This Thanksgiving weekend we stayed in one of the cabins located in Beavers Bend, OK smack in the middle of Broken Bow State Park. It was so beautiful and incredibly quiet! An amazing dinner was had by all not to mention what a nice time it was catching up with everyone without having to run off and get ready for work the next day. A quiet place does much for the soul as well as one's knitting!! With the help of my awesome MIL mama Marcia, I was able to complete two of the sweaters I was working on!! I was so excited I blocked them both when we got home and haven't taken the cardigan off since! It's always so nice to get help when you're new at this whole knitting thing and not to mention the yarn eye candy of all the lovely sweaters she wore. Hope you all enjoyed your Thanksgiving Holiday spent with family and friends. Happy Knitting! !